Recently the guys at Active Commerce (Follow @activecommerce) provided a free development training for Sitecore MVPs led by Nick Wesselman (Follow @techphoria414). The guys there did an amazing job in implementing a really simple yet powerful E-Commerce solution for Sitecore, so I decided to write a blog post about why you should pick Active Commerce as your E-Commerce platform. 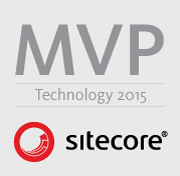 Reason 1 – It is built on top of Sitecore with Sitecore ! One of the best things about Active Commerce is that it uses all the built-in Sitecore Capabilities for creating an E-Commerce solution. Active Commerce uses and extends the Sitecore Layout Engine by adding skinning capabilities (which will be covered in Reason 2). It uses and extends Sitecore Ecommerce Services (SES) for E-Commerce related things like product catalogs, shopping carts, etc. Also it ships with already build templates for common things like product, product variants, filters and so on. Cassete for asset management, bundling, minification and bundling. LESS Preprocessor for styling – which means less development work to modify the existing styles thanks to the variables and mixins less provides. jQuery-tmpl for HTML Templating – which allows quick markup changes thanks to the dynamic generation of the HTML Templates. Special mobile-optimized templates and behaviours (Using the Sitecore Device Layer). As already stated in Reason 1 – Active Commerce is built to work seamlessly with Sitecore, which means that it utilizes the already existing Sitecore config patching strategy we are used to. If you want to extend or just modify something Active Commerce related there are patch files which are self-descriptive (and well commented :)). Of course Active Commerce is not configurable solely by configuration files, there is a pretty robust system for site configuration inside the Content Tree. From inside the content tree your editors will be able to configure everything starting from basic contact data of the company through tax calculators, default currencies, etc. Active Commerce is easily extendable thanks to the fact that it uses Microsoft Unity as dependency injection container. Unity makes it easier for the developers to replace existing functionality, extend the existing components and add their own custom logic on top. From data modeling standpoint – Active Commerce uses Glass Mapper as ORM which makes it even easier to extend the models and create custom types for our own data models – the only thing necessary is to inherit from the ActiveCommerce.Products.Product class. Having a good support team is one of the most important things when you want your product to be successful and in my experience I can honestly say the guys in the Active Commerce Support team are amazing. I saw nothing else but fast and proper responses when I had any questions.